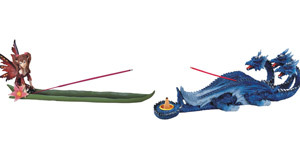 The Gift Shop - Figurines, Wind Chimes, Scarves, Incense Burners - Paykoc Imports, Inc.
Download our catalog for this category by clicking the PDF icon above. What's in the Gift Shop? Whether you need a unique and meaningful gift for someone else or you want something for yourself or your home our Gift Shop has items you simply can’t find anywhere else. 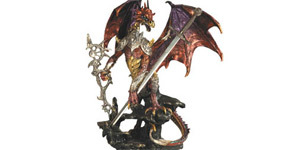 We carry a wide array of pewter and polyresin figurines in the Fantasy category. 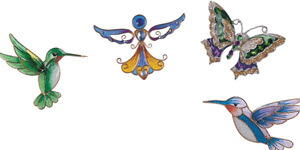 We stock all the fairies, dragons, and unicorns you could possibly wave a wand at. We also have Crystal and Western figurines of all shapes and sizes. Figurines are just where our gift shop gets started. 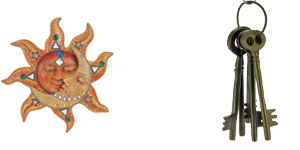 We also have a large selection of wind chimes in copper, iron, metal, and pewter. We pride ourselves in carrying unique designs that you can’t walk into any big box store and find. 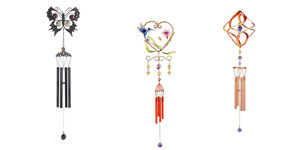 So set your yard apart from the Jone’s with an eye catching wind chime from Paykoc Imports. What’s a pashmina you ask? They are very fashionable cashmere wool scarves that can be worn in a variety of ways. These are hand spun, hand woven, and hand embroidered scarves, or as some folks call them shawls, which come exclusively from India. With dozens of vibrant colors and patterns to choose from we think you should get several, because after all, they’re only $9 each! Like our gifts so much you want to sell them to your customers? 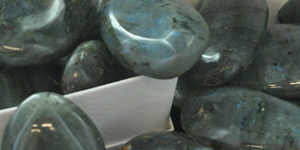 Check out our wholesale options for great discounts on bulk items. We also offer customization and engraving on many of our gifts.